When traveling to the italian capital, one can get the chance to join some of the best Rome tours and to learn not only about arts and history, also many details about the local life. Learning about people’s culture and traditions is a great add-on to a basic trip. It makes the difference between just visiting and deep exploring your destination. But when it comes to Rome, you cannot expect to just visit the city. It is just as natural to also mix in with the locals and feel that Roman Holidays vibe. Well, why don’t you just book my special Vespa tour in Rome and plan a customized itinerary through the city’s best highlights? Not only sightseeing: we can also stop over to have some of the best street food in Rome and an amazing taste of the regional cuisine. Here’s the top 10 plates you need to taste when in Rome. 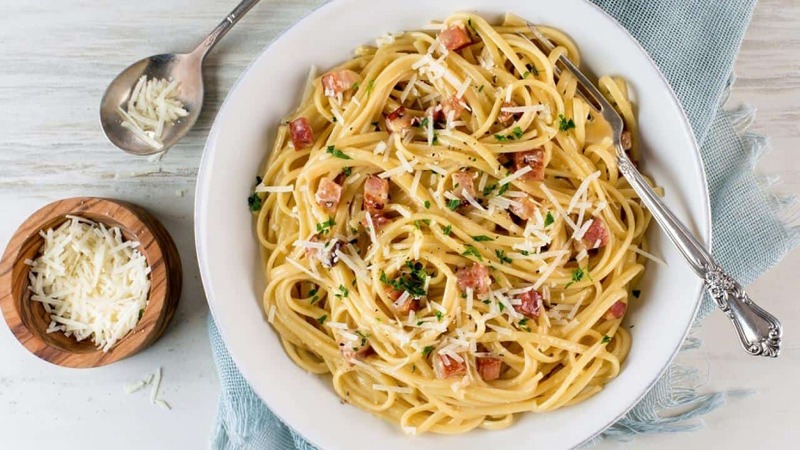 One of the simplest and most copied recipes, Carbonara is definitely a dish you can’t miss. Some people in Rome still believe that Carbonara was born with the Second World War, when they saw American Soldiers eating simple dishes with eggs and bacon. This recipe is instead part of the roman traditional cuisine since the XXth century. It is also the perfect example of how super simple ingredients can make a great meal. Ingredients are eggs, guanciale (cured bacon), black pepper and pecorino romano and are affordable to every family. The sauce is usually paired with some long shaped pasta, as spaghetti or bucatini, and has to be cooked al dente. This simple dish is usually taken and adapted to regional cuisines around the world: please help spread the word, the original recipe doesn’t require any cream! Take the Carbonara recipe, leave the eggs out and give it a new twist. Pasta alla Gricia is also very often referred to as the eggless Carbonara. 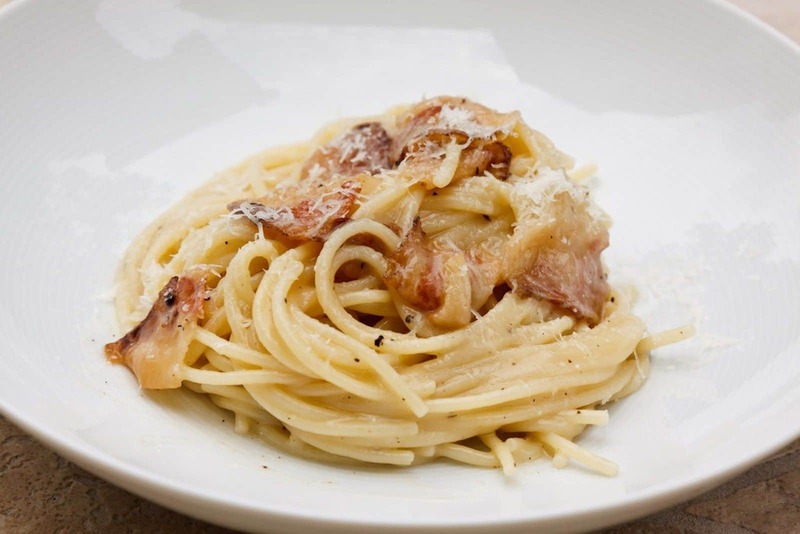 This recipe is elementary and quick to make and its ingredients are simple: pecorino romano, guanciale and pasta. That’s all. Pick some long or short pasta, to your taste, such as spaghetti or bucatini or even maccheroni. Gricia is also the ancestor of the popular Amatriciana sauce, which comes from small town of Amatrice – just over 2 hours drive from Rome. 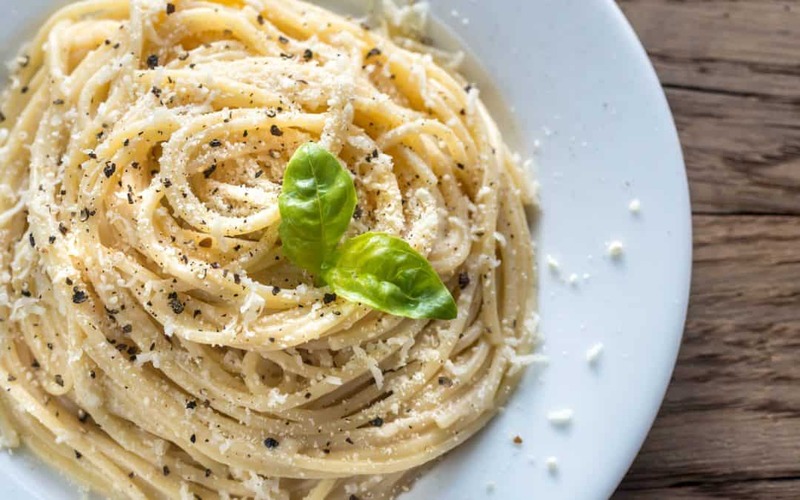 Another roman favourite, Cacio e Pepe is one of the tastiest pasta sauce you could ever have when in Rome. It’s amazing how basic ingredients and a very simple process can create such a spectacular meal. 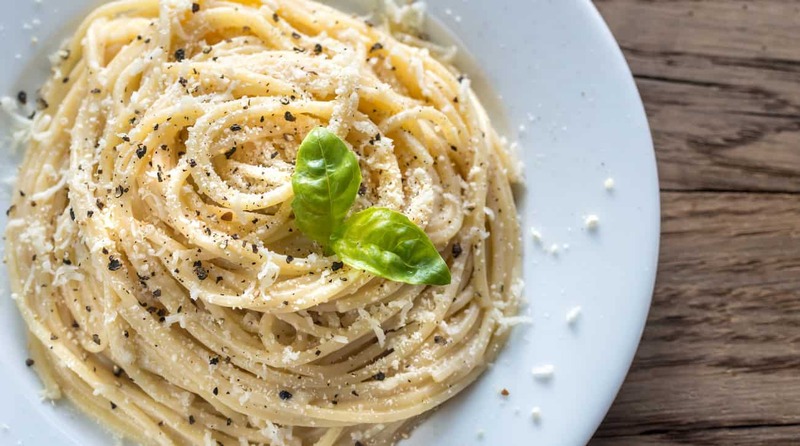 Cacio is the Roman way to call pecorino and pepe is black pepper. Those 2 ingredients are melted into a white creamy sauce with just the adding of some cups of boiling water. This sauce marries with all kinds of long pasta, better when tonnarelli or vermicelli. Let’s talk about another of the top 10 plates to eat in Rome: saltimbocca alla romana. 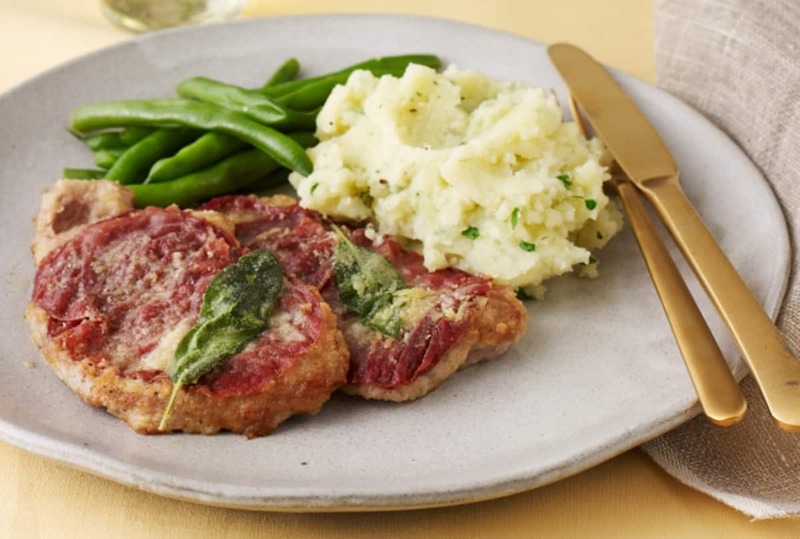 This dish combines veal meat, Parma ham and sage into a tasty main course. Literally ‘jump in the mouth’, small pieces of veal are marinated in white wine and then paired with a slice of ham and a sage leaf. To hold everything together, a toothpick. Then, the dish is cooked in a frying pan until nice and tender. 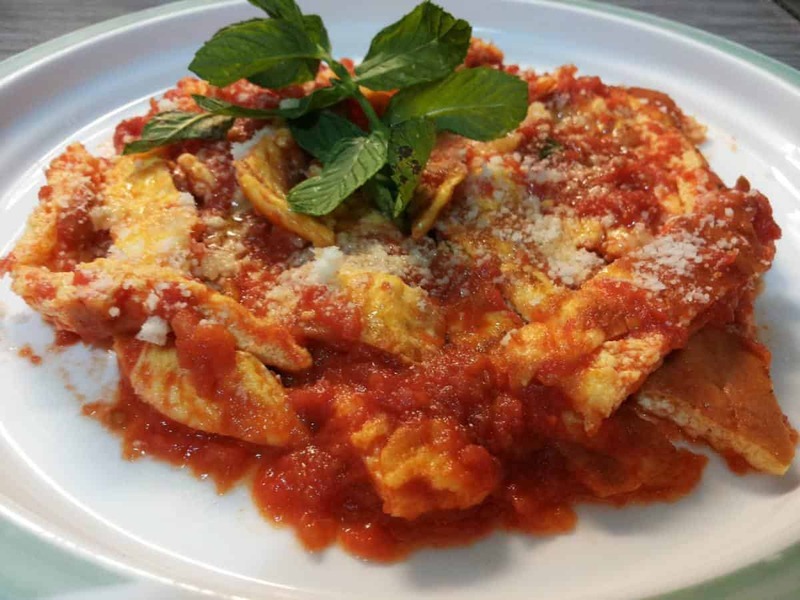 There is nothing in this dish that refers to the regular Italian gnocchi, which are made with potatoes, eggs and flour. This recipe uses semolina flour, butter and parmesan cheese. 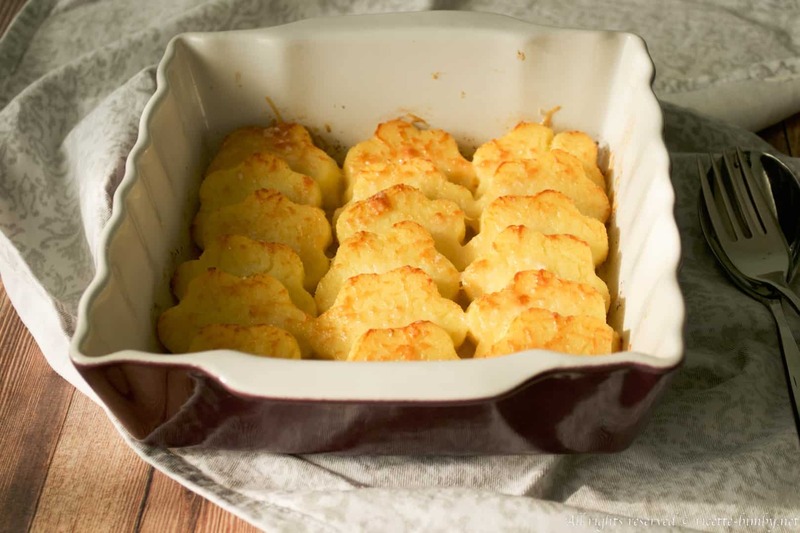 Gnocchi alla romana are round and about 1 finger high, are cooked in the oven and served with a whole lot of grated parmesan on the top. You can order this dish with a side of cheese, tomato sauce or a meatball sauce. 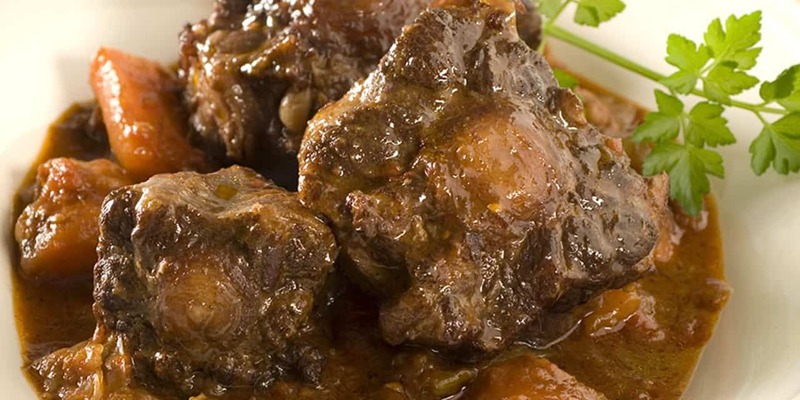 The perfect dish for a Sunday family lunch in Rome, Coda alla Vaccinara is a stewed beef tail that is cooked and served with vegetables. There are in fact two versions: try the special one prepared with a sauce with pine nuts, raisins and cocoa powder. The leftovers are usually recycled as a pasta sauce, which is obviously delicious. 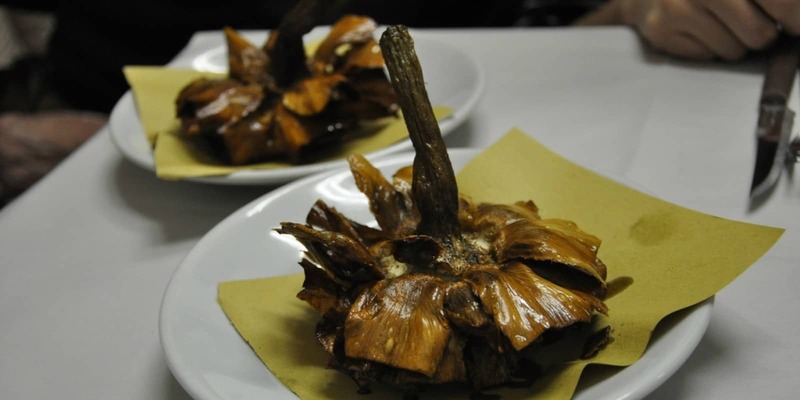 As simple as fried artichokes, Carciofi alla giudia is a tasty dish that has Jewish origins in the XVII century. Artichokes used in the recipes are a variety called mammole, bigger, round and with no needles. They are tender and perfect to open up in a flower shape. This dish is amazing as it is fully edible, which means you can eat the whole lot. There are 2 different ways you can try abbacchio in Rome. The lamb meat is cooked in a pan with spices, oil and garlic and served with potatoes. In the second way meat is grilled and the tradition wants everyone to eat it just off the fire, using their hands (that’ why scottadito, which means burn fingers). 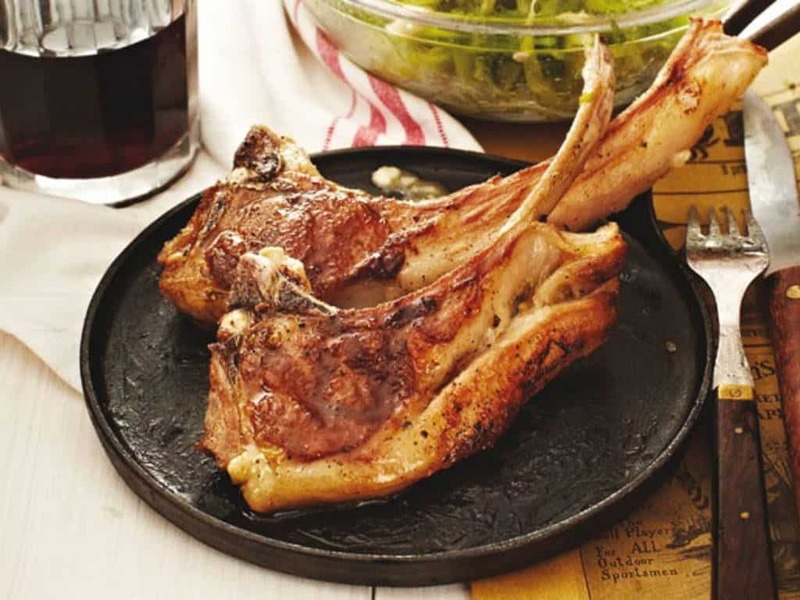 This second and simple recipe prepares the lamb meat with salt, pepper and covers it in lard. When walking around the city with you private Rome tour, you will notice many trattorias and small restaurants serving traditional dishes. Amongst them is trippa, a sort of meat and vegetable soup which uses the least expensive cuts of meat. 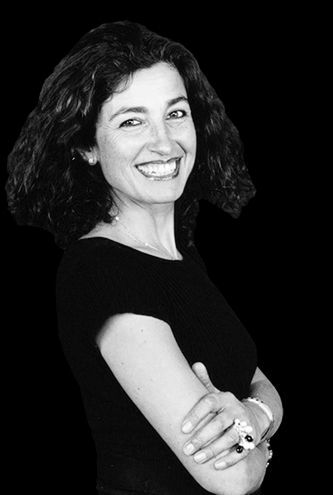 Also, the list of ingredients includes roman mint and pecorino. It is quite traditional to have trippa alla romana on a Saturday for lunch. This last dish comes from the suburb Testaccio but you will be able to order it all around Rome and in the surrounding areas. 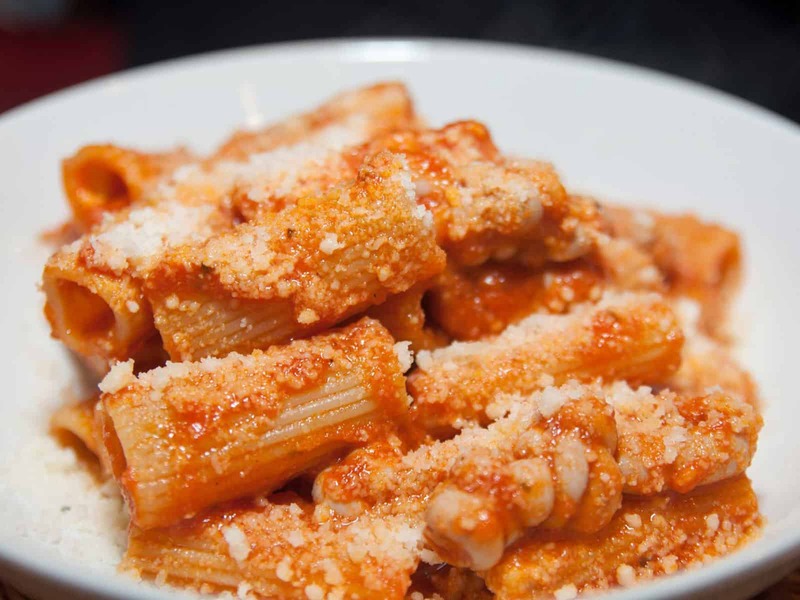 The pasta sauce is made with a special cut of veal meat, the intestine, which gives the tomato sauce a special bitter but delicious taste. Well, this were my top 10 dishes everyone should eat when visiting Rome. Get your chance to learn about the Roman cuisine, culture and history with a customized tour in Rome and have some great time!